Yesterday a bunch of people from Juneborg made a short day trip to see some historical places of interest not far from home. We visited 2 churches and a 3 m high phallus not farther than 60 km from home. It makes you realise that here in Sweden you don’t have to travel that far to discover lots of neat things for a medieval anacronist. First stop was Vireda church. 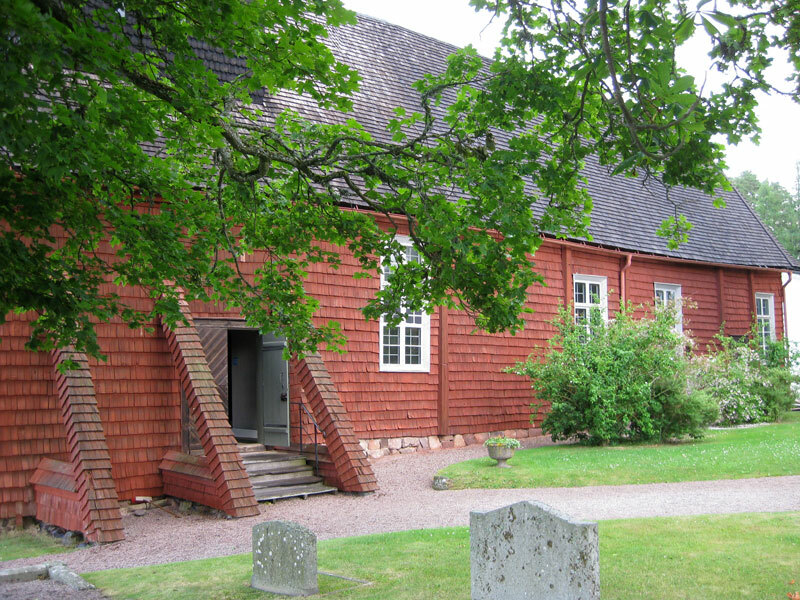 It’s one of the few medieval churches left in Sweden that is made of wood. It was built during the first half of the 14th century and has a lot of beautiful al secco paintings on the walls from the late 15th century. 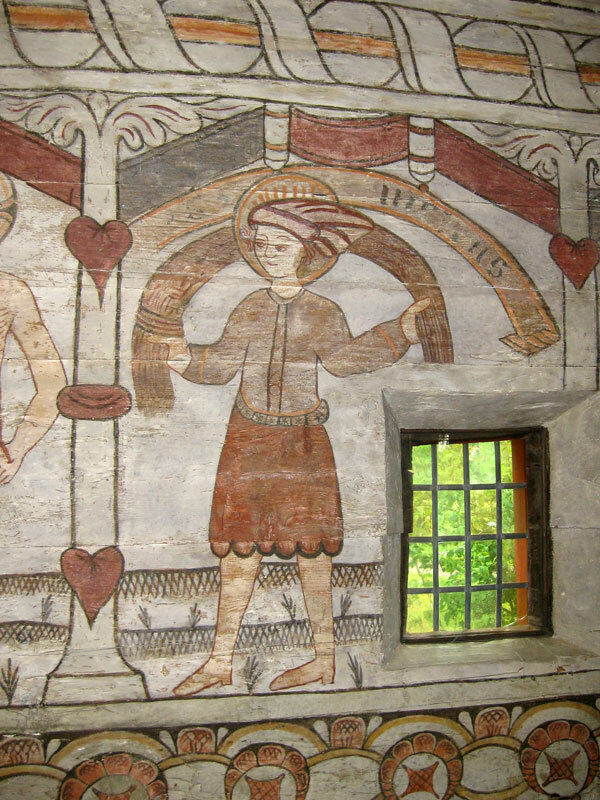 Painting from 15th century in Vireda church. The we left for lunch at the phallus made of stone in Bredestad. 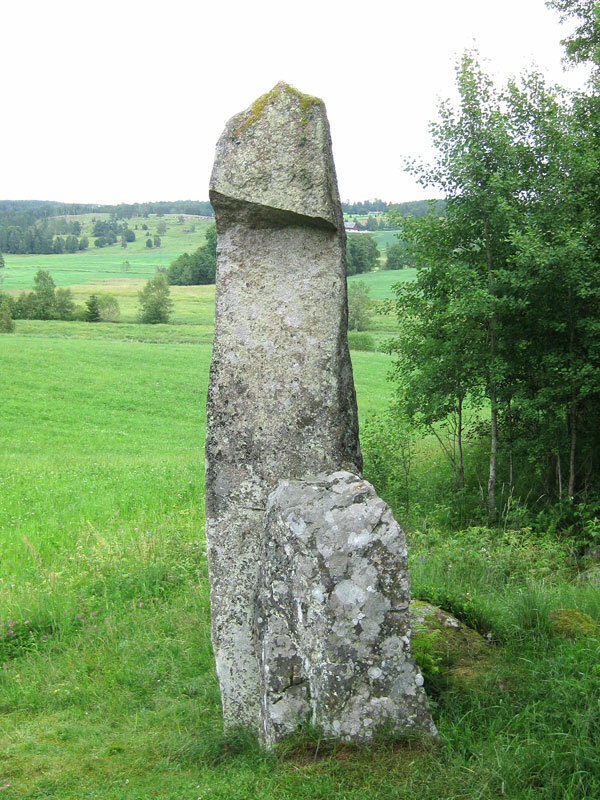 It’s a 3 m high phallus made of stone from 200 AD and it was raised as a symbol of fertility for the god Freyr. This part of Bredestad was inhabited early and produced iron with great success during the Iron Age. Last but not least we went to the church in Askeryd. It was probably built during the 13th century. On the walls and ceiling are al secco paintings from early 16th century. Probably painted by Sven Målare (“Sven the painter”) from Jönköping. In 2008 a lot of work was done to preserve the painting and it is a wonder to see. The picture shows the to saints with their attributes. 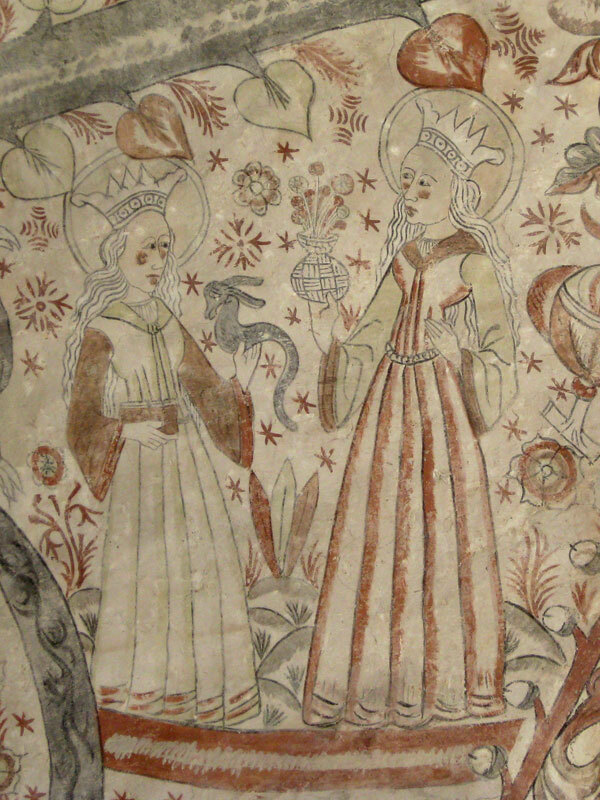 Margareta to the left with a dragon and Dorotea to the right with a basket of flowers. One can only imagine the beauty these paintings when they had their original colours of red, blue and green.